Trailer for Elite Squad 2: The Enemy Within. Picking up the story thirteen years after the original Elite Squad, The Enemy Within sees revered B.O.P.E. Lieutenant-Colonel Roberto Nascimento and his second in command André Matias facing new battles both on the streets and within the corrupt political system of Rio de Janeiro. 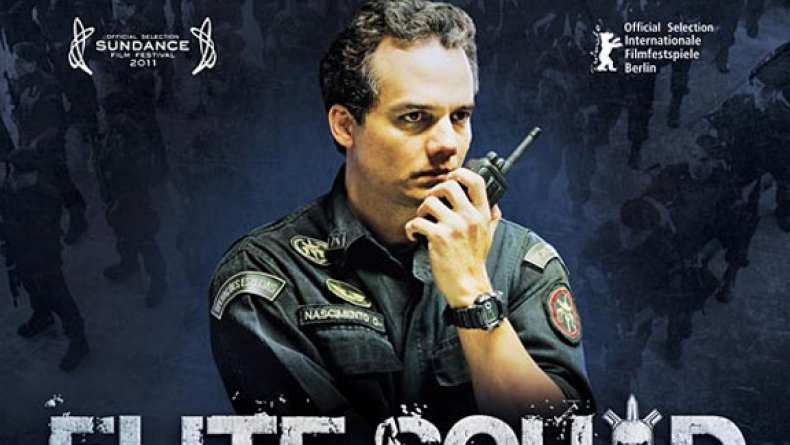 After a disastrous B.O.P.E.... operation on a prison riot, Nascimento gets caught in a bloody political dispute that involves not only government officials, but also the deadly paramillirary groups known as the milicias. Adding to this are his troubles at home, as his ex-wife is now married to the newly elected State Representative and his thirteen year old son is becoming increasingly estranged from his intense and emotionally distant father. Featuring scenes of breathtaking action, compelling drama, and one of the most notorious central characters in recent cinema, Elite Squad: The Enemy Within is essential viewing for both action and world cinema fans alike.